Legal practice requires that defendants in criminal proceedings are competent to stand trial. To meet this requirement, Federal and State case law imposes responsibility on trial judges to ensure a defendant’s competency if presented with evidence that calls this ability into question. This duty extends to prosecuting attorneys and defense counsel, as well. If there is reason to suspect that a criminal defendant does not understand the nature or purpose of the proceedings, or is unable to properly assist in their own defense, a competency to stand trial evaluation is warranted. Furthermore, the question of a defendant’s competency can be raised at any point during a criminal proceeding. The question of competency to stand trial most often arises for defendants with schizophrenic-spectrum disorders, severe mood disorders, or intellectual disability. Defendants may also exhibit other psychological problems or symptoms that warrant evaluation such as amnesia or impaired ability to effectively communicate with defense counsel. In addition, the question of competency may arise where a defendant is attempting to exaggerate or feign symptoms of psychological impairment or impaired memory to avoid proceeding to trial. As part of trial strategy, defense counsel may put forth an insanity defense asserting that a defendant’s state of mind at the time of the offense was severely impaired and, therefore, reduces the defendant’s legal culpability. A defendant who is competent to stand trial may still have a legitimate basis for an insanity defense. While State and Federal statutes defining legal insanity often differ, both require credible evidence that serious psychological symptoms were present and directly influenced the defendant’s behavior, judgment, reasoning, or ability to distinguish between conventional reality and fantasy. Obtaining credible, probative evidence of psychological abnormality depends on a forensic psychologist’s ability to conduct a thorough retrospective assessment of the defendant’s state of mind during the weeks, days, and hours leading up to the alleged criminal act. Furthermore, the psychologist must explain how the defendant’s symptoms influenced behavior or thinking and therefore, meet the State or Federal statute’s definition of insanity. For example, is there evidence that a defendant believed other people were out to harm him or her? Was he or she hearing a voice telling him or her to take self-protective action that led to the criminal behavior? Was the defendant’s contact with reality so impaired that he or she did not realistically comprehend the dangerousness or unlawfulness of his or her actions? With over 20 years of experience as a forensic psychologist, Dr. Swerdlow-Freed is well known for his ability to conduct comprehensive competency to stand trial and criminal responsibility evaluations. He methodically examines all relevant information—from police and prosecution records and witness statements to jail and mental health records. 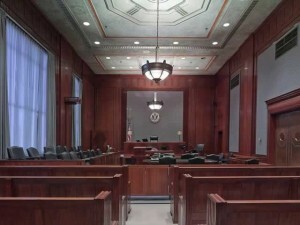 Using careful, detailed assessments of a defendant’s current behaviors, interactions with defense counsel and jail personnel, behavioral observation, and a comprehensive interview, he determines whether a defendant’s psychological condition meets the legal standard of insanity or whether the defendant is incompetent to stand trial. The results of the clinical interview, observation of the defendant, the defendant’s history, review of records, and psychological testing are explained in a detailed, thorough report. Criminal responsibility evaluation reports clearly specify whether a defendant had a severe psychological or other cognitive problem at the time of the alleged crime and, if so, how this affected legal culpability. Competency to stand trial evaluation reports address whether the defendant’s current psychological state limits understanding of the nature and object of the proceedings or interferes with assisting defense counsel in a rational manner. Dr. Swerdlow-Freed’s reports are widely regarded as detailed and thorough, and his expert testimony as trustworthy and persuasive. Dr. Daniel Swerdlow Freed has been providing expert advice, consultation and evaluations related to defendants’ criminal responsibility and competency to stand trial for over 20 years. All forensic psychological services are available to prosecution, plaintiff, and defense counsel throughout Michigan and the United States. If you need advice when planning or executing trial strategy, contact Dr. Swerdlow-Freed at 248-539-7777 to schedule a consultation.